How Should We Really View a VC’s “Value-Add” Offerings? 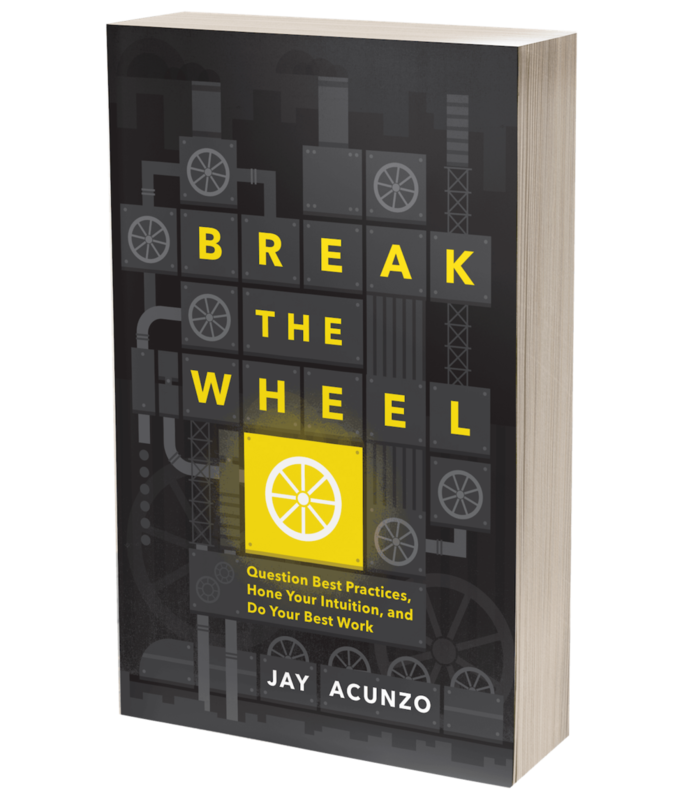 Making Sense of the Noise — Jay Acunzo | Author. Speaker. Maker of Shows About Work. To my regular readers who have come to expect marketing topics: Due to a few negative bloggers lately, I wanted to write something in defense of my work at NextView and that of my peers at fellow VC firms. I am not emailing my subscribers this post as a result. I appreciate your continued readership and support! I’m experiencing deja vu all over again. I’ve done content marketing as a formal job function for the better part of my career, and I’m now watching the same path to ubiquity for another approach to serving your audience: VC “value-add.” This is the notion that a venture capital firm can add more value to a startup than simply capital and the occasional bit of boardroom advice and feedback. The buzzword (and it’s definitely a buzzword) signals some kind of formalized offering by the firm for its startups, which can attract better entrepreneurs to that VC while allegedly helping the current portfolio succeed better and/or faster. The Rise Towards Buzz a la "Content Marketing"
Content marketing went through this too, but now it’s a massive and accepted industry and approach. At first, a handful of early adopters made a name for themselves in content marketing. Then, others took notice and/or received pressure to follow. Some of these companies did it well, but most either stumbled or claimed they practiced it, despite their failure to really do so. That latter group drowned out the good intentions and good work of others, since it's easier for the press and industry bloggers to notice the bad or vague efforts and simply conclude, "This is all stupid." So, back to VC value-add: Having already explained the job in my TechCrunch article, I’d now like to defend my work and that of my peers for a second. I can only speak to what NextView Ventures does firsthand, however, so if you’re reading this and are in the VC world, please leave a comment to correct or add anything. Period. End of discussion. All else is noise — and trust me, there’s a LOT of noise. (We’ll get to that in a second.) In an increasingly crowded industry, with more VCs vying for deals and more options like AngelList and crowdfunding available to founders, value-add should be a competitive advantage to a firm. All other things about value-add you hear are less important than the singular goal of being practically helpful and offering tactically useful things. Services and consulting teams, content and templates, workshops, proprietary apps, and in-house recruiters or designers are all just delivery vehicles. They can be fluff and useless or they can be amazingly helpful. In content marketing, a blog post, an ebook, or an infographic are similarly just delivery vehicles -- they can be filled with crap or filled with good information. A Talent Exchange program to help our portfolio source and select top talent quickly. We launched it based on feedback we heard -- namely, that hiring talented operators can be difficult and time-consuming (founder networks are often more senior). Since January, we’ve facilitated dozens of introductions and interviews which have led to ACTUAL hires at our companies. For more details, read the quotes in the link above. A growing collection of educational content. This comes in the form of our blog (The View From Seed), where we discuss tactics like raising capital (and data to suggest ways to do so), hiring certain types of roles, building product, acquiring customers, and much more. This also includes larger, even more helpful resources, like board deck templates or a content marketing playbook, created based on the most common questions and needs we identify among founders. Community in the form of small-scale workshops and events. We held an App Store Optimization crash course, for instance, as well a session on OKRs together with Spark Capital. Last year, we organized an invite-only series of product manager breakfasts to share notes and processes. We also do community building and/or supportive projects for our local ecosystem. Content is one of those initiatives. The Hitchhiker’s Guide to Boston Tech is another. Additionally, many other firms like Spark (events), First Round (network connections), Andreessen Horowitz (in-house recruiters and more), OpenView (sales and marketing consulting), and Google Ventures (design) all offer wildly useful, practically applicable (a.k.a., VALUABLE) things to their portfolios and the broader startup ecosystem. It's important to note that we aren’t trying to replace other solutions -- an idea that some cite when trying to tear down the notion of value-add. Instead, we view all of this as more arrows in the quiver of an entrepreneur to pair however they like with other, existing solutions, from recruiters to agencies to other investors adding actual value. And given the massive challenge ahead of every founder and startup, the more supportive options available, the better. Forced, awkward intervention. Nice-sounding but useless events requiring your precious time as a founder. Sizzle, but no steak. Promises, but no delivery. The reality is that a choice few can be genuinely brilliant on their blogs — they trend spot, they analyze market opportunities or pitch random new ideas for companies, etc. But the rest who are now glomming onto that trend need to find more unique white space to occupy. Folks like Mark Suster or Jason Lemkin (SaaStr) offer practical advice in most of their posts. We try to emulate them and others, as well as take pages from product companies like HubSpot (where I worked) which built hugely successful businesses by out-helping their competition. Content is at the core of that effort and extends to other things as delivery vehicles. But when “value-add” is slapped onto these Blogging for Brilliance situations or, even worse, when it's promised by a VC but never actually delivered, it creates more meaningless noise and fluff and more “This is stupid” reactions. And in these cases, those reactions are justified. Services: These are your in-house recruiters or consultants and generally require a bigger staff. GV’s design sprints are an easy example. I also mentioned OpenView’s team of marketing and sales consultants — they hail from successful startups like ExactTarget/Salesforce or HubSpot and spend meaningful time doing one-to-one strategy work on persona development, go to market, sales process and pipeline, and more. a16z is another stellar example that offers a full staff of support functions for startups. Scale Venture Partners has one in-house consultant who’s a SaaS veteran. He crunches portfolio data and benchmarks progress and shares this and similar content and learning, in addition to doing one-on-ones, with their SaaS-heavy portfolio. Platform: This is what I do. This is about creating a menu of resources and a smaller number of “unassailable assets” — pillar projects that another firm can’t simply copy like they can with an event or a blog article. This is where First Round forged a path. Frontline is another great example, as is FKA (the newly independent tech arm spun out of Atlas). FKA runs a co-working space in Boston called hack/reduce, organize a local syndicate of angel investors run on AngelList to support FKA-led deals, and a nonprofit called Technology Underwriting the Greater Good (TUGG). So, unlike what some would claim, there's actual, practical help being offered by many VC firms to entrepreneurs, but it appears to be drowned out by noise -- not unlike any trend. And I think that’s okay, since entrepreneurs always ask for references of a given firm ahead of doing a deal. Those firms being thoughtful about their value-add projects can and should generate the best reputations and references. In general, I hate this discussion (and the phrase "value-add") because semantics are stupid (and "value-add" sounds pretty dumb to say as a human being speaking English, allegedly). All that should matter is doing the work. Execution is everything; labels are dumb. But like marketers, VCs are starting to get caught up in what to call something and what tactics matter. As I often say to marketers, it’s not about the tactic. It’s about your audience. The tactic serves your firm's mission and your audience's needs. Where is the overlap between what they need and what you're able to provide in a genuinely helpful way? In the end, a far worse trend than VCs over-promising their help is one where media or individuals in the industry rebuke it without gathering facts. This tends to happen too -- content marketing rose to prominence, and it became cool and edgy to try and tear it apart. It's a short-term argument to say value-add projects aren't worthwhile, which is particularly odd in VC when you consider how many trends investors must explore in earnest and how long-term they must think. Yes, this ultimately comes down to helping with deal flow. Investors are in the business of maximizing returns. But I’d rather live in a world where too many VCs try to do this by out-helping each other than a world where most VCs are absent, elitist, or brutish. As leading author and marketing consultant Jay Baer likes to say, smart marketing is about help, not hype. So if you do this platform or value-add stuff right, it doesn't matter if you call it marketing or help -- it's one and the same in 2015. Tech companies have known this for awhile now. VC is finally catching on. And those who fight it will be left to either frantically catch up or sit on the sidelines until their days are numbered. Posted on May 28, 2015 by Jay Acunzo.